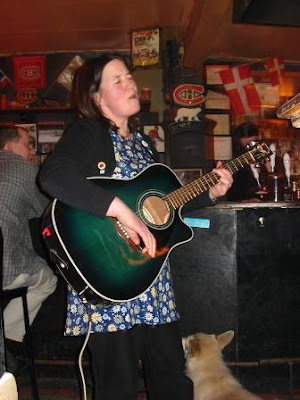 The sweet-voiced wonder named Kim Beggs pulled in to Shaika Café in NDG last night to play a country-folk set that pretty much melted my heart with northern twang and near-arctic soul. So I hooked her up with a gig at Shaika (thanks to booker and friend Jenny M.) and the day arrived yesterday. Thanks to all who attended the show! Thanks to Kim who thanked me on stage for hooking her up with Shaika Café. Glad you were able to spend time with us here in Montreal, Kim. A total treat. 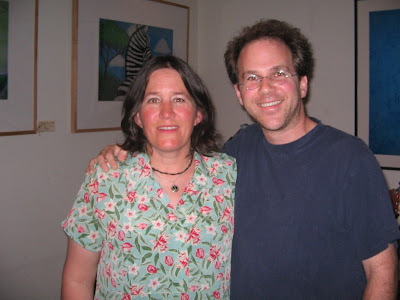 Listen to Kim's 1st CD here. Listen to her 2nd CD here. Visit her official web site here. thanks for convincing her to swing by - what a sweet show.